After months of speculation, Apple has finally unveiled Smart Battery Cases for its grandest iPhone series yet. All three models in the iPhone X line—XR, XS, and XS Max—now have their own cases. Only the iPhone X has been excluded, which isn’t surprising given that Apple discontinued it when they launched their latest flagship model. Each Smart Battery Case costs $129.99. What is a Smart Battery Case? 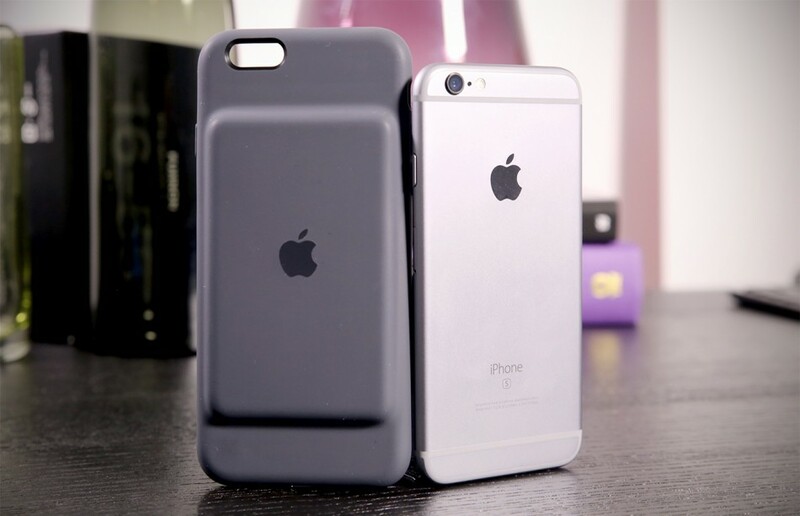 Apple’s Smart Battery Cases offer a convenient way of charging an iPhone on-the-go. As one can expect from any Apple product, they don’t come cheap. On the bright side, you don’t have to pay extra for the larger iPhone handsets. The new Smart Battery Case looks pretty much like its previous iteration, except it has different dimensions. It is made with a soft microfiber lining, while its exterior is made of soft-touch silicone that gives the case an extra layer of protection. Like its previous version, the case has a bump where a 10.1Whr battery is located. These come in black and white, letting you match your accessory to the color of your iPhone. As of now, the color options are limited. A third one, however, might be available soon. Tech enthusiasts expect Apple to give the iPhone X line a (Product) red version like they did for the iPhone 7. Since the company has yet to confirm this though, it’s best if you take this information with a grain of salt. All of Apple’s Smart Battery Cases support Qi Wireless Charging, meaning you can charge both your iPhone and battery case at the same time. You can increase talk time to as long as 39 hours and extend internet usage to 22 hours. Of course, you can also expect longer audio and video playbacks. When you’re using this accessory, you will be able to see the battery status from the iPhone Lock screen, as well as the Notification Center. You can easily tell how much juice your phone has left. What iPhones can use the Smart Battery Charger? Only the iPhone XS, XS Max, and XR are compatible with Apple’s new Smart Battery Chargers. These are tailored specifically for these handsets. Since these cases aren’t backward compatible, you won’t be able to use it on your iPhone X. The iPhone X doesn’t have a Smart Battery Charger most likely because it was discontinued a few months ago. Apple had decided to pull out all iPhone X units from their online stores, though recently, they started reselling refurbished models of this older flagship. However, a Smart Battery Charger will unfortunately be unavailable for this handset. Apple’s Smart Battery Cases are now available for purchase. They might be as expensive as a lower-end smartphone, but if you already have an iPhone that fits it perfectly, you might want to save up for a wireless charger. You might want to consider trading in older handsets, or sell cell-phone units that you no longer use to be get the $129.99 Smart Battery Case faster.